Bond is Back! The fourth and most recent Daniel Craig 007 movie, Spectre, will receive its UK terrestrial TV premiere on the ITV-1 network on News Year’s Day, 2018, at 8.00pm GMT. It is two years since the film, which was the second James Bond adventure to be directed by Sam Mendes, stormed the global box office, and it will be two years before we can see 007 back in action on the big screen. In the meantime, though, despite the availability of Bond on Cable TV, DVD, Blu-ray and other such media, there still seems to be something special about Bond ‘on the Box’ at Christmas and New Year. The James Bond films were created, of course, very much for the big screen and have often served as the ultimate cinematic experience, but we should not forget the fact that the 007 movies have also had a regular television presence in Britain for just over forty years, and slightly longer in the United States. In fact, for dedicated 007 aficonados, Bond on TV has often been a great ‘alternative’ while we patiently wait for the next official EON movie, and many enthusiasts have caught the Bond ‘bug’ via the small screen. But who was the biggest TV Bond of all in the UK? Back in September, 2016, the JBIFC carried out some detailed research on this intriguing question, and we found that it was the third Bond actor, the late Sir Roger Moore, with his first Bond adventure Live and Let Die (1973), who scored the highest viewer ratings figure on British television. Let’s take a brief look back on our findings about ‘Bond on the Box’. As many 007 fans know, the James Bond movies did not arrive on British TV until 1975, when the very first 007 movie, Dr. No, was screened on the evening of 28th October, 1975, to both great excitement and some pessimism. The excitement, naturally, came from keen Bond fans who, up until that stage, could only see James Bond in action if they caught the latest 007 movie released at the cinema, or happened to introduce themselves to Mr. Bond with the regular double-bill screenings that were hugely popular in British cinemas in the 1970s. 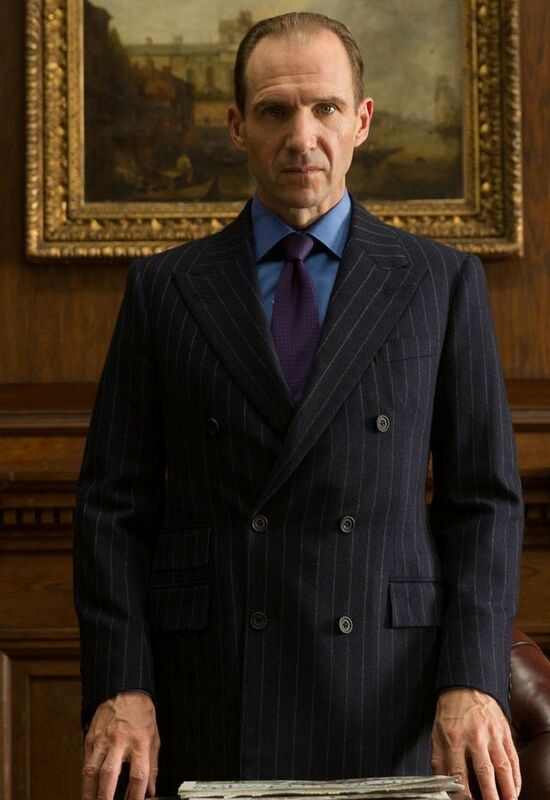 The pessimism came from some film and TV critics, and also from some passionate Bond fans, who all feared that James Bond on the small screen could possibly herald the end of the series. Bond on the small screen, they argued (especially in monotone black-and-white and with advert breaks), could never capture the over-the-top exotic glamour and larger-than-life action of the big screen, and the James Bond series would suffer as a result. Thankfully, in hindsight, the pessimists of the mid-1970s were mistaken. 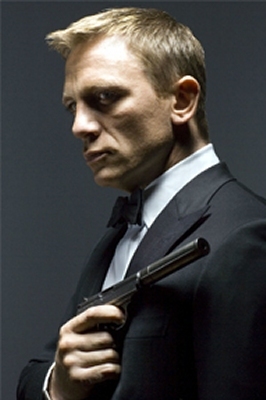 In fact, some film historians have argued that, far from undermining the James Bond series, the regular small-screen TV screenings merely whetted the appetite of a whole new generation of Bond fans, who were made even more determined to catch the latest 007 adventure as it appeared in the cinemas. Indeed, as the JBIFC noted back in 2016, ITV themselves skilfully made use of the advent of the latest 007 film releases by creating special ‘premiere’ programmes, often screened live from the World Premiere itself, and EON were more than happy to co-operate with such productions. 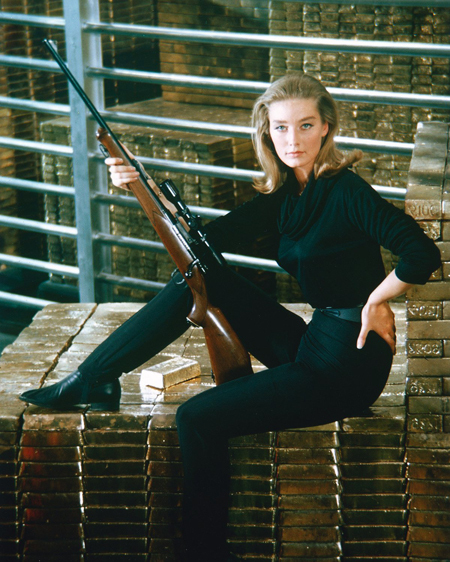 According to insider reports at the time, both the BBC and ITV had bid high-stakes money for Bond TV screening rights, but ITV came out on top. We should remember that, on the UK’s television networks in the mid-1970s, the battle for viewer ratings was particularly intense (arguably even more so than today, given the much smaller number of channels), and the fact that ITV’s won the rights to screen the EON Bond movies was seen as a major success for the independent TV network back in 1975. And ITV’s bean-counters were determined to exploit this to the full to maximise revenue. Much to ITV’s satisfaction, there was intense competition between British advertisers to win an advertising slot during the advert breaks in and around TV screenings of the Bond movies, especially those that were premiered on TV for the very first time, or were screened at Christmas time or New Year, which became something of a ‘tradition’ on British TV for quite a while (see Mark O’Connell’s excellent 2009 book Catching Bullets: Memoirs of a Bond Fan for a flavour of this). In 1997, some of the thinking behind ITV’s strategy was revealed when the head of press at ITV’s Network Centre commented to the British media: ‘Bond is part of the fabric of British entertainment. The films are a magical mixture of adventure, mystery and romance, along with exhilarating chases and up-to-the-moment technological gadgetry’. 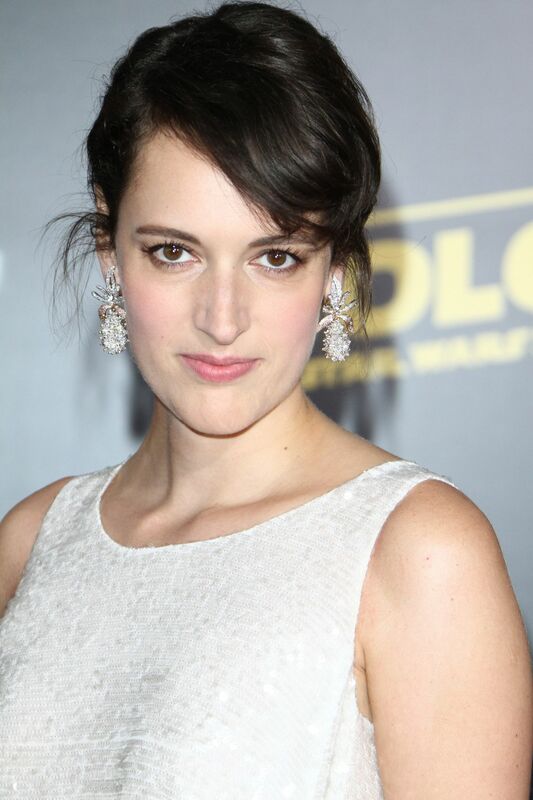 She added: ‘The great thing about Bond, from a scheduler’s point of view, is that he cuts right across the age group’. Roger Moore’s first Bond film, Live and Let Die, was first shown on ITV on 20th January, 1980, and received an astonishing 23 million viewers. This was probably the highpoint of Bond on British TV. Our careful scrutiny of the ratings figures back in September, 2016, also revealed that another Moore Bond movie, The Spy Who Loved Me (1977) – when it was first shown on British television on 28th March, 1982 – came a close second in the Bond movie TV ratings statistics in the UK, with an amazing 22.9 million viewers. Third in the Bond movie ratings figures came a Sean Connery James Bond film, Diamonds Are Forever (1971), which, although premiered on British TV on Christmas Day in 1978, actually achieved its highest viewing figures when it was screened on 15th March, 1981. 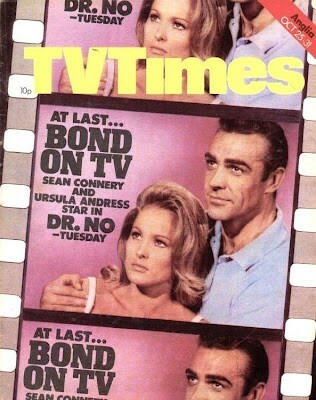 Interestingly, when we looked at the figures for Dr. No, although it had been premiered on ITV on 28th October, 1975, it’s best viewing ratings figure came from a television screening ten years later – on New Year’s Day, 1st January, 1985. Clearly, many British families decided to toast the beginning of the new year by indulging in some James Bond nostalgia. We suspect the same will happen with Spectre on New Year’s Day, 2018. 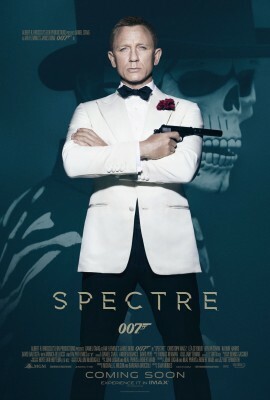 When will Spectre be shown on cable TV? Haven’t we waited long enough!! !